The Yazidis (also spelled as Yezidis) are a religious minority found primarily in northern Iraq. In recent years, the Yazidis have received the attention of the international media as a result of their brutal persecution at the hands of Daesh. This persecution, however, is just the latest of its kind as the Yazidis have faced numerous persecutions throughout their history. The reason for this is their syncretic religion, which contains elements from Islam, Christianity, and Zoroastrianism. Over the centuries, the Yazidis have been regarded to be heretical ‘devil-worshippers’, and therefore were subjected to persecution by the Muslims who ruled over their homeland. Did a New Religion Arise from Disenchantment? 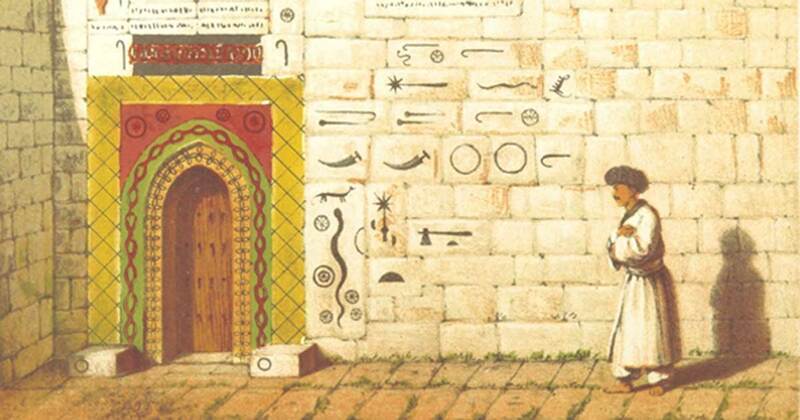 Although the origin of the name ‘Yazidi’ is unclear, some scholars have proposed that it is derived from the Persian / Zoroastrian word ‘Yazdan’, meaning ‘God’, and ‘Yazata’, meaning ‘divine’ or ‘angelic being’. Others have associated the name of this religious minority with that of Yazid ibn Mu’awiyah, the second caliph of the Umayyad Caliphate. The Yazidis believe that this caliph, though a Sunni Muslim , became disenchanted with his religion, and became a Yazidi. The Yazidi population today has been estimated to number between 200,000 and 1,000,000. Although the Yazidis are a scattered people, the majority of them live in the mountainous regions of Kurdistan on the borders of Turkey, Syria, and Iraq. The largest Yazidi community is located in the Sinjar Mountains in northwestern Iraq. Ethnically speaking, the Yazidis have been considered to be Kurds and speak Kurdish. Nevertheless, the distinction between the Yazidis and their fellow Kurds lie in the religion practiced by the former. Who is Melek Taus the Peacock Angel? According to Yazidi belief, their religion is the oldest one in the world, and their religious calendar can be traced back 6756 years. The Yazidis believe that when God created the world it was entrusted to seven angels. The chief was Melek Taus, known also as the Peacock Angel. This angel is considered to be similar to Lucifer in Christian and Jewish beliefs and, like Lucifer, rebelled against God. The rebellion failed and Melek Taus was cast into the fire. Unlike his Christian and Jewish counterpart, the Peacock Angel repented. Spending 40,000 years weeping, his tears eventually put out the flames. Pleased with his act of repentance, God placed Melek Taus in charge of the daily affairs of the world. The Yazidis also believe that they were created by Melek Taus before any of the other races of the world. How Did the Yazidi Religion Develop? Alternatively, the Yazidi religion may be traced back to the end of the Umayyad Caliphate. In 750 AD, the Umayyad Caliphate was overthrown by the Abbasids, and the last caliph, Marwan II (who was half-Kurdish), was killed. Some of the dynasty’s descendants and supporters fled to the Sinjar Mountains. The Yazidi religion continued to develop over the centuries, absorbing elements from other religions, including Sufi and Shiite Islam, Nestorian Christianity, and Zoroastrianism. 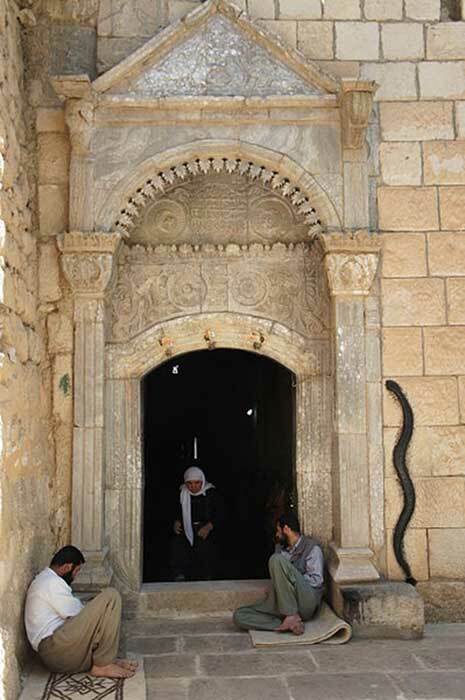 It was during the 13 th and 14 th centuries that the Yazidis began to draw the attention of neighboring Muslim rulers. The religious beliefs of the Yazidis developed further away from Islamic norms, while their political power and geographical spread continued to increase. The situation alarmed the surrounding Muslims, who regarded the Yazidis as heretics and rivals for power. Due to the worship of Melek Taus by the Yazidis, their enemies considered them to be ‘devil-worshippers’. By the 15 th century, clashes between the Yazidis and Muslims ensued, in which the latter emerged victorious. The power of the Yazidis was reduced, while their numbers went into decline as a consequence of massacres and both voluntary as well as forced conversions. According to the Yazidis, they have suffered a total of 72 genocides throughout their history. The persecution of the Yazidis continued into the modern period. 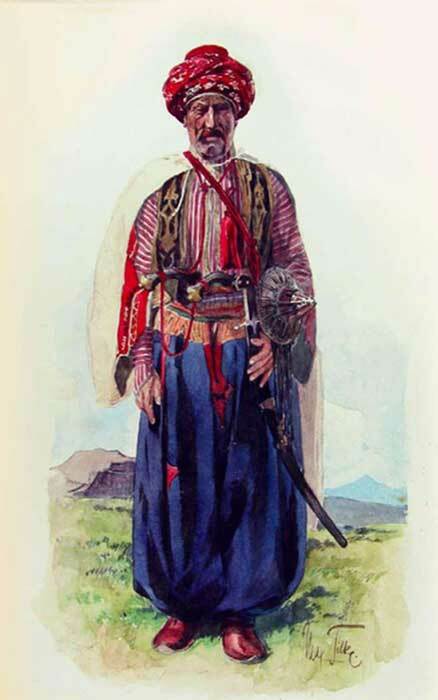 During the late 19 th and early 20 th centuries, for instance, the Yazidis fled in large numbers to the Caucasus to avoid further persecution. Today this persecution continues in the form of Daesh. Many fear this will be the 73 rd genocide to be carried out against the Yazidis.